*Invest appropriate time in shopping. Avoid analysis paralysis. Instead, strike a balance in comparison shopping until you find the most reasonable plan to meet your vehicle insurance requirements. Over shopping by ignoring acceptable policies can delay cover from sooner to later. *Ensure that policy terms and rates meet average industry coverage standards. Consult the Financial Services Authority (FSA) website for industry standards, rates and to confirm that an insurance provider is registered in good standing. The FSA site also provides a directory of known parties who are disreputable. If an insurance provider is not on the registry, this indicates the provider is not legit. The FSA forewarns the public that registered providers are unlikely to contact someone without first having been contacted by that party. *Only pay premiums using cheque or plastic card. These user-friendly payment methods are typically verifiable and traceable. Some plastic credit card companies, which typically offer payment protection plans, may reimburse cardholders who become victims of fraud. Cash payers should be certain to receive a legible receipt showing the name of the company, current date and accurate payment amount. 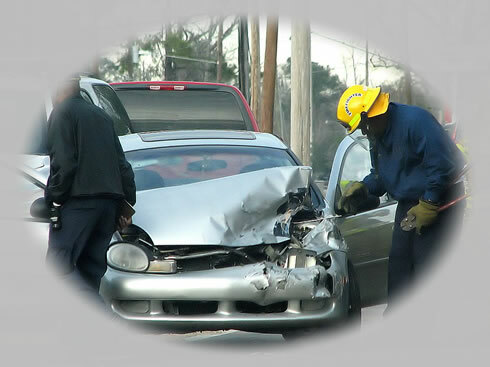 *Ensure the company is authorized to sell UK auto insurance. Policies may be sold in person, door to door, or online. This selling method may indicate a disreputable company. Be sure to find out the physical address of the company, confirm that the company is authorized to sell insurance, and confirm that the agent is licensed to sell vehicle insurance. Consult the Financial Services Authority website to check the registries. *Maintain standards of review whether buying insurance online or elsewhere. Legitimate companies typically offer online insurance. Shoppers can easily and conveniently purchase a plan. However, because of Internet anonymity, illegitimate insurance companies can easily and conveniently misrepresent their company to unsuspecting consumers. Unsolicited email insurance offers require added vigilance. It is essential that due diligence for Internet purchases as is exercised for insurance not purchased online. Is the company licensed? *Make sure you understand the insurance coverage terms. Consult the FSA insurance Glossary as needed. The online Glossary covers all standard terms used by reputable, registered insurance providers. Call the consumer helpline as needed. *Retain insurance related documents. Besides the policy, retain correspondence with the insurance company, including receipts, advertisements and details related to submitted claims. Note keeping related to telephone calls or personal meetings with the company, to include the names of parties and their titles, dates and summary of statements can be helpful. These record-keeping strategies can be assets should any future issues arise that require resolution. *Review insurance policy and all records to ensure these match terms and rates as agreed. Contact your insurance company to request a copy of the policy is one is lacking. Make sure there are no unauthorized loans against the policy. These guidelines can help drivers avoid becoming victims of UK insurance fraud.